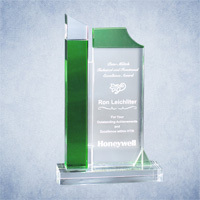 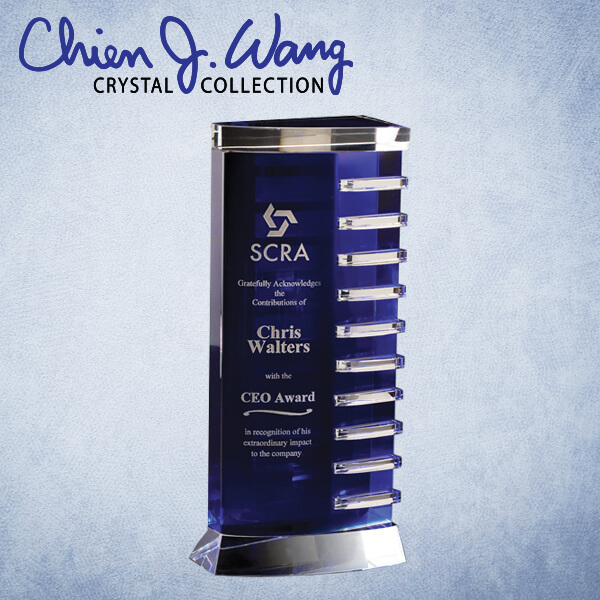 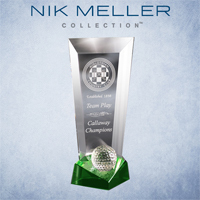 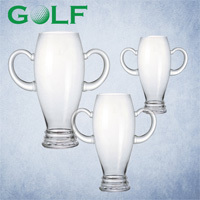 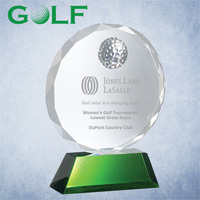 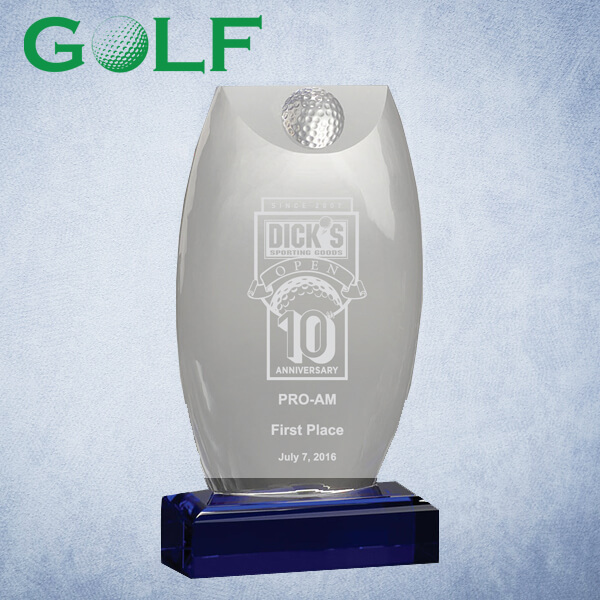 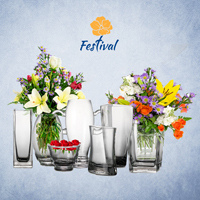 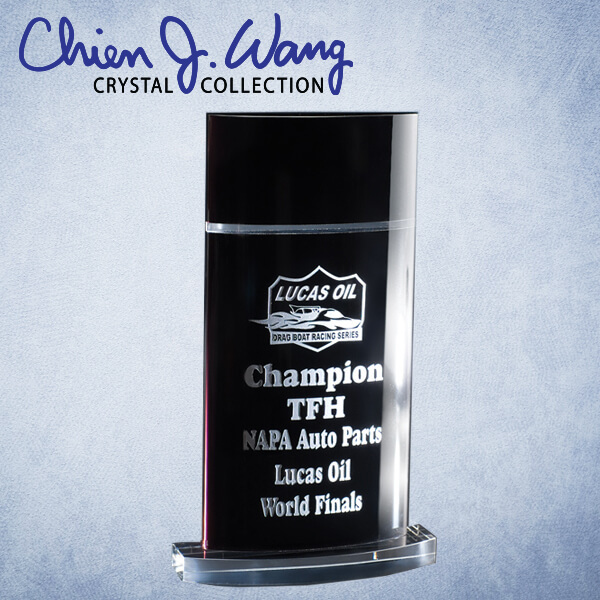 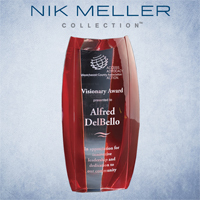 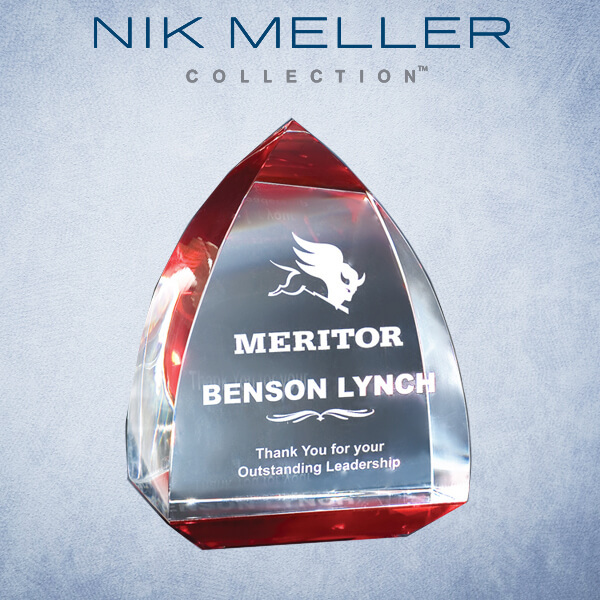 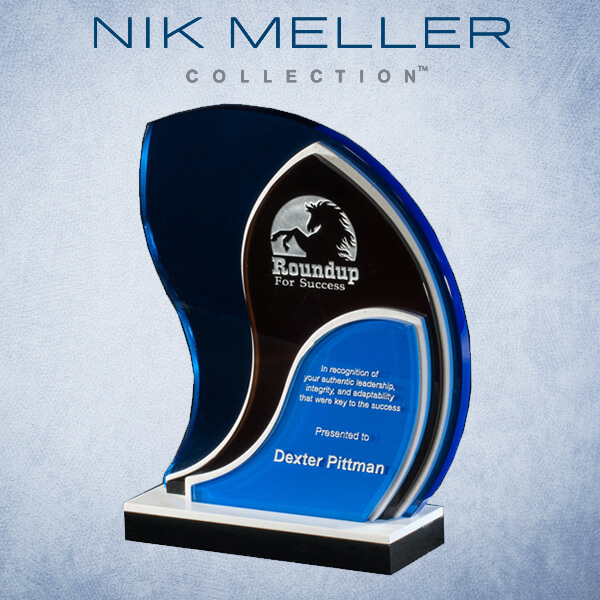 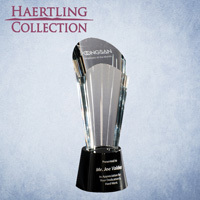 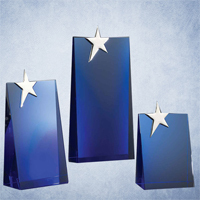 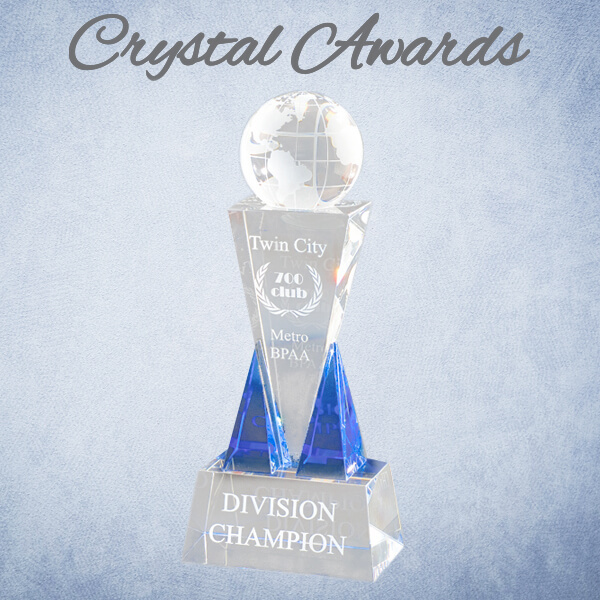 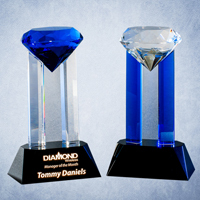 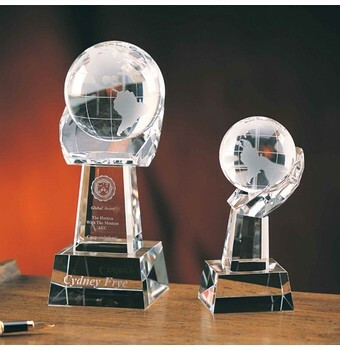 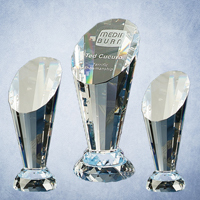 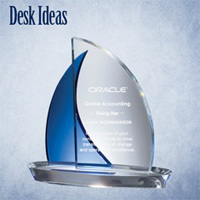 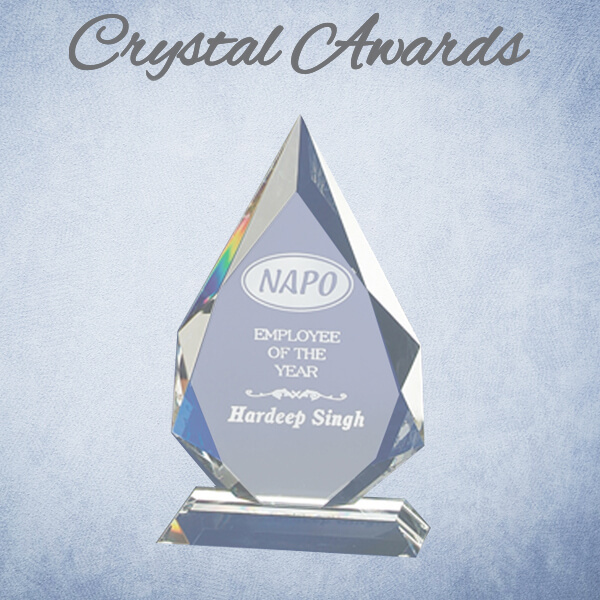 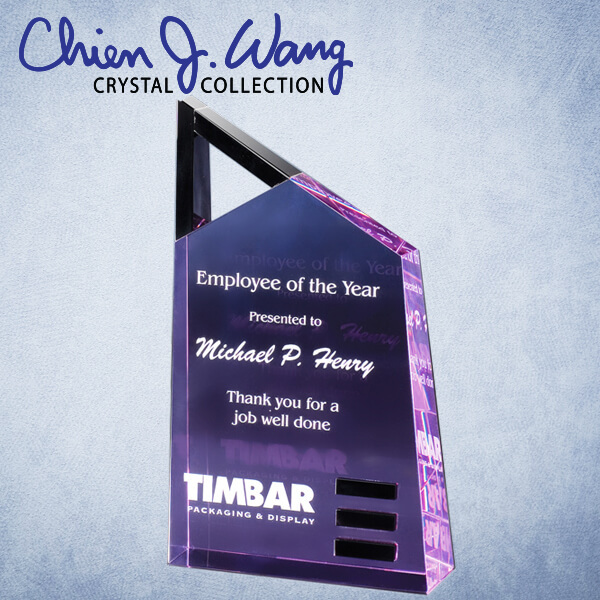 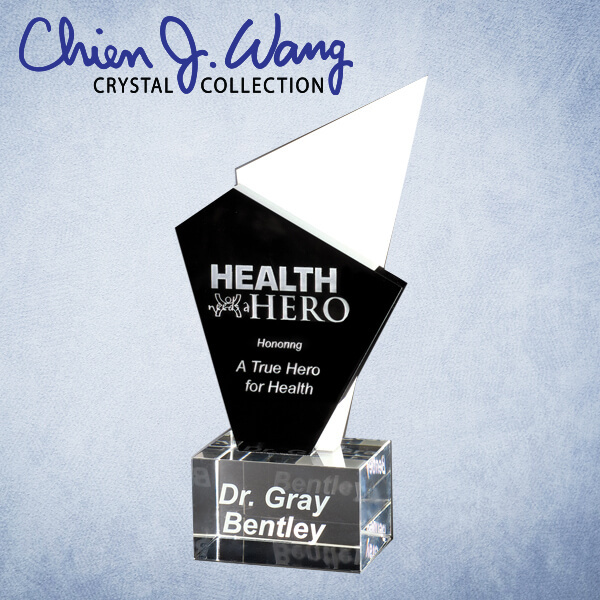 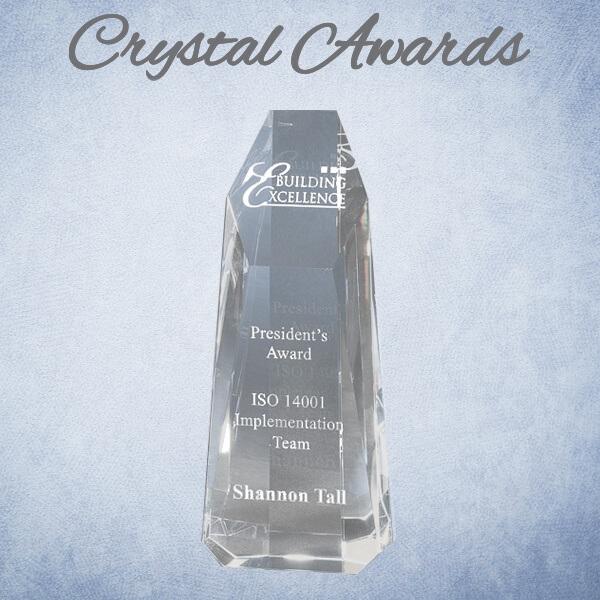 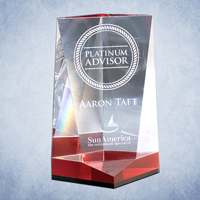 The 6" Crystal Spinning World On Hand Award is clear and is made of optic crystal. 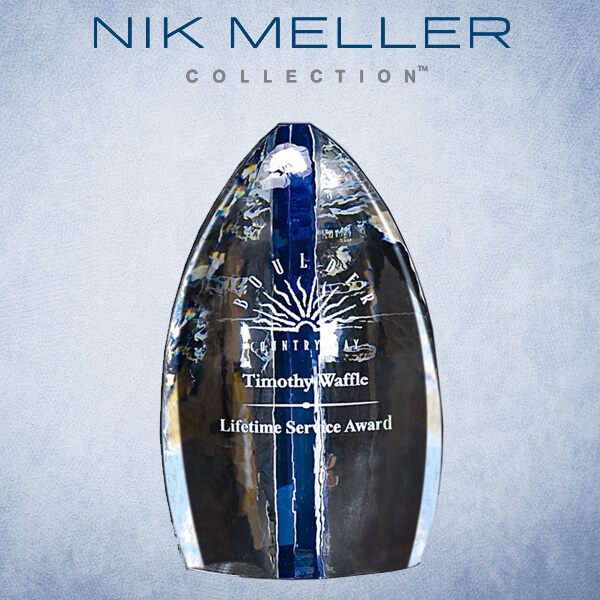 The World on Hand measures 2 1/2"W x 6"H x 2 1/2"D , weighs 2.8 pounds and is presented in a custom blue gift box with blue satin lining. 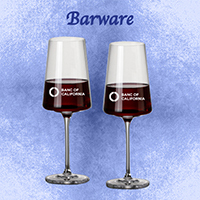 The CWH26 is available in 2 sizes including item numbers CWH26 and CWH38. 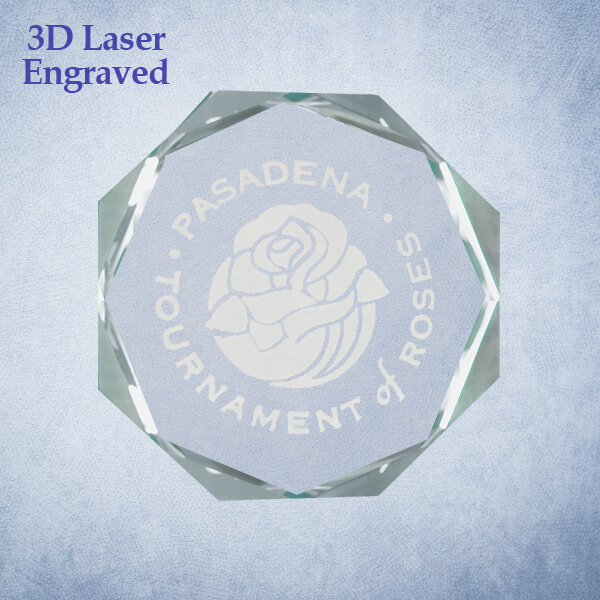 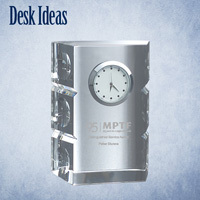 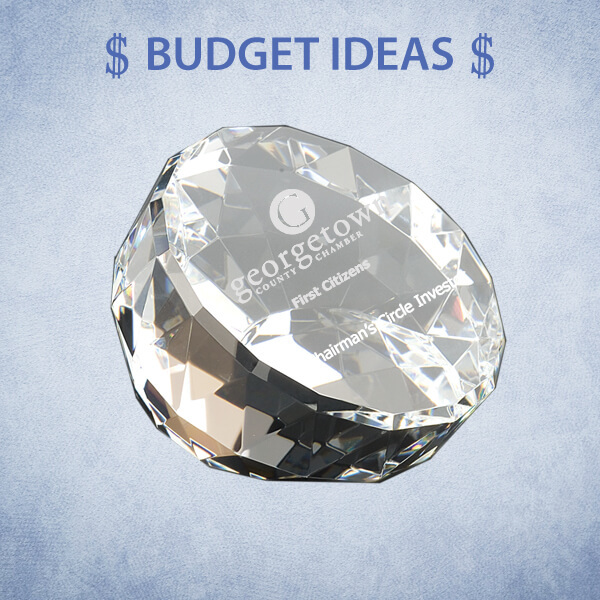 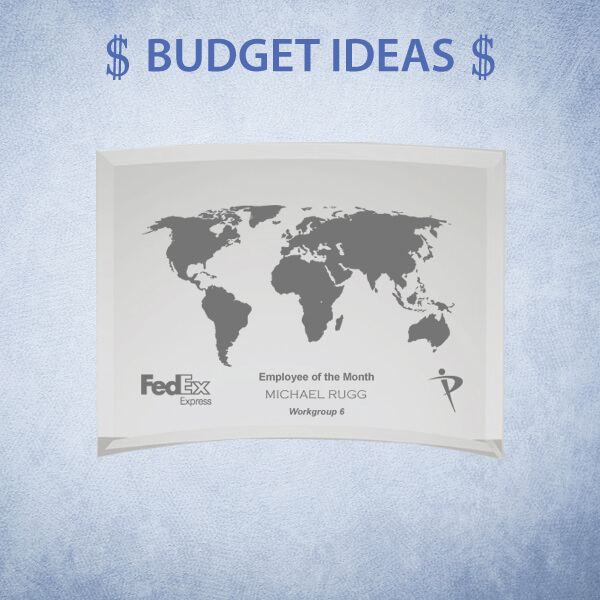 Price includes deep etch in 2 locations. 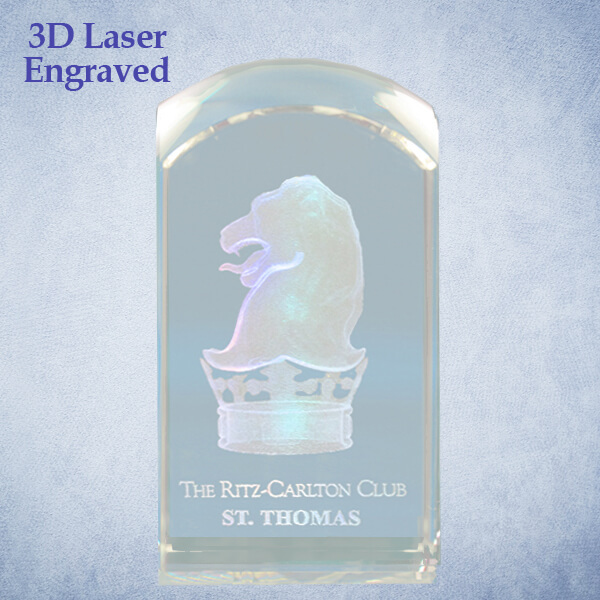 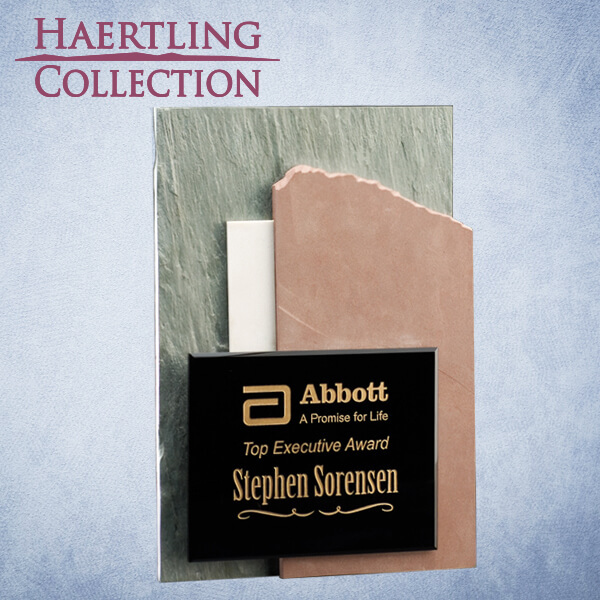 The imprint areas are top 3/4"W x 1 1/2"H and base 2"W x 1"H.